I’ve talked to a lot of country artists and they’ve all had unique stories, but when it came to Charles Parker, he brought a whole new bag of tricks to our interview. He’s definitely not a one-trick pony. He’s been around the block quite a few times. In fact, he’s been around SEVERAL different blocks in many different neighborhoods, musically speaking, that is. Born and raised in Baltimore, Maryland, Charles Parker actually still resides there. He makes the trip to Nashville frequently, but for now, he still calls Baltimore home. There’s a good reason for that, at least for the moment. He likes to work, and work he does! 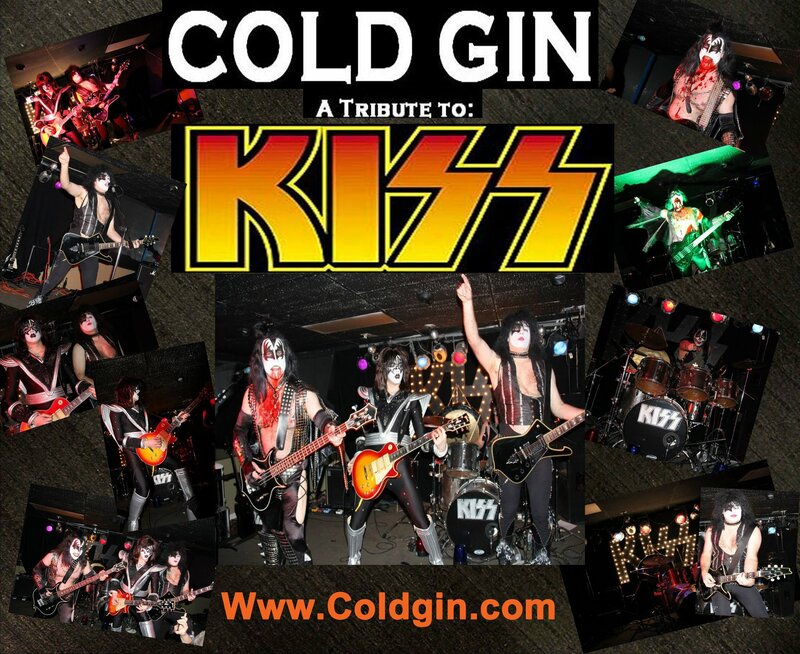 He is one-fourth of the KISS tribute band, Cold Gin, playing the part of the Starchild, which is the character guitarist, Paul Stanley plays in the actual band KISS. The band is very successful, but wait! There’s more! Cold Gin isn’t the only tribute band Parker is involved with. There are several more. Parker has his own band called CPB or Charles Parker Band. 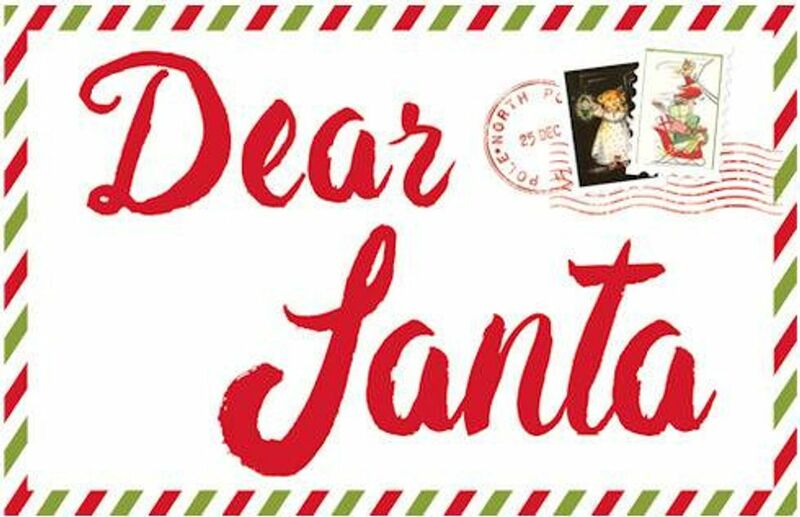 This band covers everything from 70’s Hits, Funk and One-Hit Wonders to Classic Rock. They also do 80’s, Island Music, New Wave and Disco. More or less anything you’ve ever listened to on the radio over the last few decades is on their playlist. That band covers it all, but if you want to be more specific, he also has tribute bands devoted to the Beatles (Beatlemania Returns), Jimmy Buffet and The Beach Boys (Beach Bumz) and the 80’s (That 80’s Band). He’s a busy guy. These are just what he does to keep working and “not have to work at 7-11”. A successful string of tribute and cover bands may pay the bills for now, but that wasn’t enough for a musician who ultimately is an artist. Artists are never happy playing the material others have created forever. Eventually, they have to make their own music and Parker was no different, a time had come for him to write his own songs and bring them to the world. Growing up he heard his grandparents listening to Elvis Presley and Johnny Cash and he watched reruns of “The Partridge Family”, and all of those things came together to form influences. A little bit of country music with some pop music sung by David Cassidy. Pop music actually written by some of the best in the business during that era. “I Woke Up in Love This Morning” was penned by Irwin Levine and L. Russell Brown, who were a powerhouse writing team for Tony Orlando & Dawn in the 1970’s (“Knock Three Times”, “Tie a Yellow Ribbon Round the Ole Oak Tree” to name two), and was a hit in 1971 for The Partridge Family. Some might consider it “bubblegum pop”, but in all honesty, it’s what was selling and people certainly remember it and they remember it fondly. Although Elvis and Johnny Cash may have been more “serious” artists, there’s no denying that many of us wanted to be a Partridge kid and travel the roads on that multi-colored bus with mom Shirley as the driver. We didn’t care that Danny didn’t know how to play the bass correctly. We didn’t care that they were lip-syncing the entire time. Most of us, at least in the first-run, had no idea. We believed they were singing. We believed they were playing. We believed they were a real family. We were young. Sue us. I would give anything to be that young and obliviously happy again. For Parker, however, he wasn’t watching during the first-run. He made sure to point that out. He’s younger than that, but he still bought into the dream. That was good enough for him. He still felt the influence. So, mix a little of the cool Johnny Cash country with the magic of television and a family band dressed in almost-matching crushed velvet stage costumes and you end up with a young boy who grows up to be a man that writes country songs. Not exactly what you might think, but once you’ve covered just about every other genre and type of song, country seems to be the logical choice for what’s left, especially if you’re like Charles Parker and not afraid to admit that you were actually listening all along. When asked why country after all the cover bands, Parker is quick to point out that although he heard the country music being played in the background when he was growing up, he was, as so many of us were, rebellious and unwilling to listen to whatever the adults were listening to. It wouldn’t have mattered what our parents were fond of, we weren’t ever going to admit to actually LIKING what THEY liked. We would have lost our adolescent cool cards! The good news is that later in life, a lot of us were able to step back and give our elders credit for introducing us to some really great music. What we couldn’t possibly say we thought was good then, we can now freely tell the world we not only love now, but secretly, we even loved it back then. If we lose our cool cards, who cares? We don’t need them anymore. Parker counts himself among the ones who absolutely heard that country music growing up. He was soaking it in, whether his grandparents knew it or not. Now, he can tell everyone that, and he can show them too, because all of that music influenced him (along with David Cassidy and the gang) and he’s writing and performing country songs. At around the age of 10, Parker’s mom bought him a music store guitar. Nothing fancy, “just an acoustic guitar”, but I wouldn’t call it any old acoustic guitar. At least I wouldn’t call the way he learned to play it just any old way. You see, Parker’s teacher was one of the country greats. Well, in a manner-of-speaking. His “teacher” was the late Roy Clark. A book accompanied the guitar. 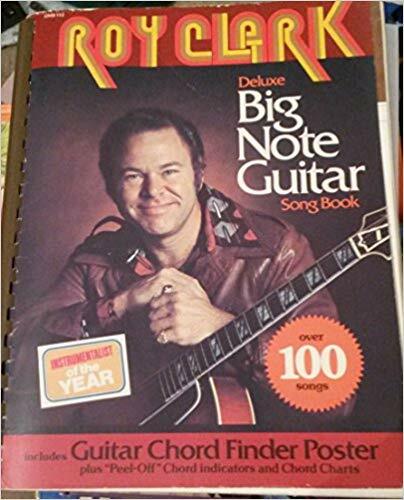 A book called the “Roy Clark Deluxe Big Note Guitar Book” that contained stickers that you would place on the fret board and that’s how you learned chords. As you learned the chords, you learned new songs. It may not have been Roy Clark in the flesh, but according to Parker, it was actually a pretty decent way to learn guitar, even better than YouTube videos, in many respects. He’s found that a lot of YouTube tutorials have errors, where the Roy Clark book did not. Modern technology isn’t always the best route. Maybe if your kids are clamoring to learn guitar, looking up an old Roy Clark book on ebay is a better choice than telling them to watch a YouTube video. Probably the best bet is to find them a good teacher, but if they’re bound and determined and finances are tight, think about what Parker said. From there, Parker could play guitar and he started to join bands in high school. They played rock and cover songs. He taught himself to play keyboards and sing and that has served him well over the years, especially with the tribute bands he has today. In 20 years, he has never missed a show because he has always been able to fill in himself if someone was unable to make it to a gig. He did stress that the guys he has working with him now are solid and rarely call off anyway. They like to work and it makes for a good band environment where nobody worries about any weak links. Parker loves the cover and tribute bands (all based in Baltimore), but he was itching to finally start creating his own music. That’s when he looked back on the country music he heard as a kid and realized that was what he wanted to start writing, and so he began looking to Nashville. Parker’s very first country single as a solo artist and writer, “Bring Back the Sun”, was released to country radio in 2017 and made it to number 81 on the Music Row Country Breakout Chart. For Parker, this was quite an accomplishment, because as he explained to me, so many artists never even find their way on to that chart, despite their best efforts and amazing amount of talent. He was humbled and grateful that his first attempt got that far. 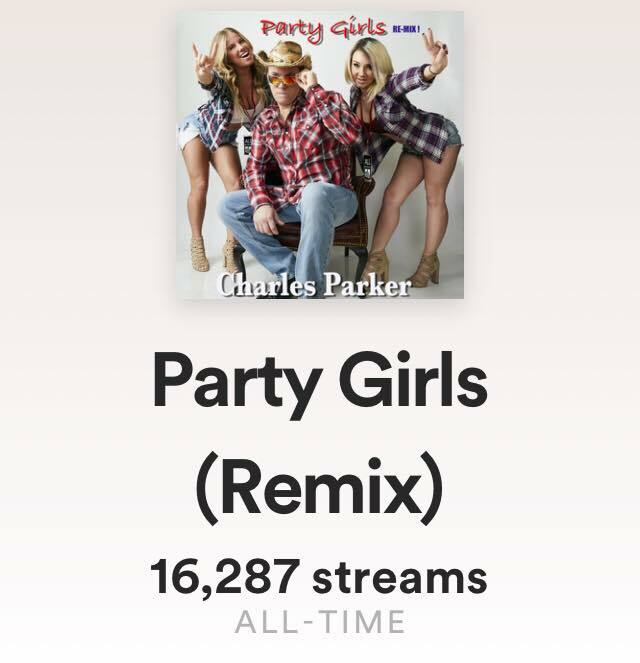 In April of 2018, his next single, “Party Girls”, found its way even further up that same chart, up to number 73. Parker took this as a sign that he was improving as a writer and a performer and that his fan base was growing. He is hoping to see even better numbers, on both the charts, in streams and sales and on social media with the release of his next single, “Say Goodbye”, set to release in early 2019. “Party Girls” is available on all of the usual digital platforms and the video is also viewable on YouTube. Parker is excited about this song and would love for Think Country followers to check both out, as well as stay in touch with him on social media and be first to know when the new single drops. 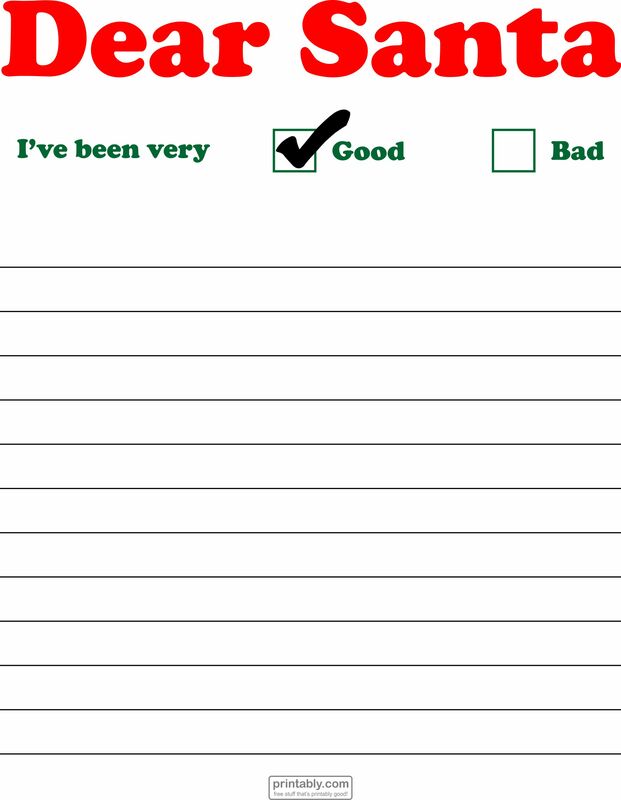 I asked Parker if he had any wish lists as far as collaborators. 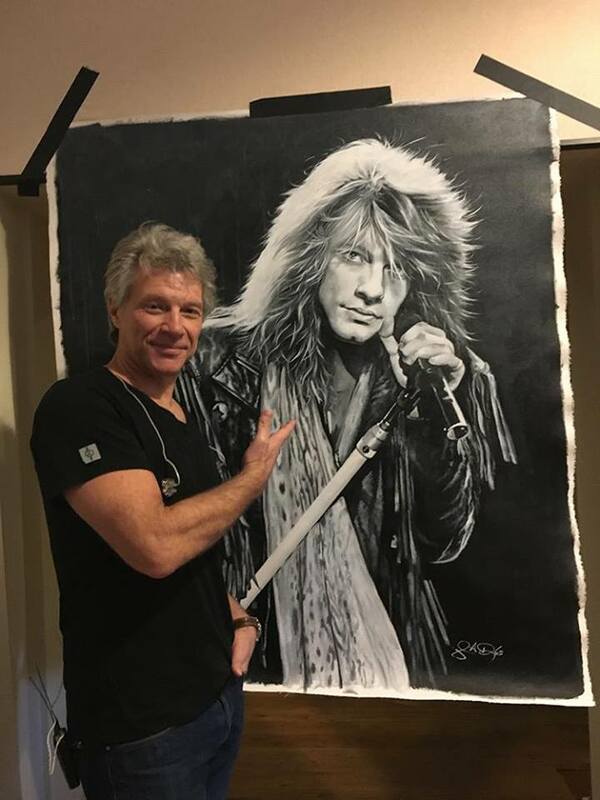 He said he would like to someday work with Jon Bon Jovi, as he has a song idea that he thinks Bon Jovi might be interested in. I won’t give too much away on that, just in case the idea has a chance. If anyone knows Bon Jovi and wants to tip him off that a country artist in Baltimore is ready to shake up Music Row with a little co-write, feel free to share this. I’m sure Parker won’t mind the networking. I thought the concept was good myself, not that I’m anyone that truly matters, but it got my attention. Another artist Parker said he would like to work with someday is John Rich. I think he may be a little more accessible as he’s in Nashville and he has a bar right on Broadway! 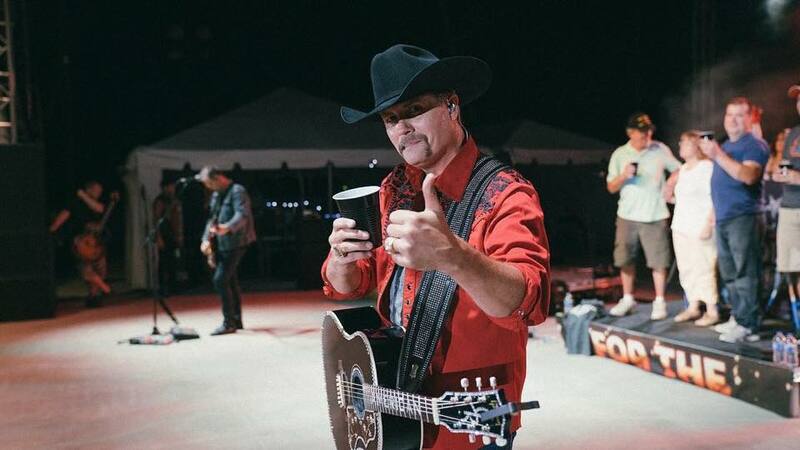 If anyone happens to run into John Rich, Parker was extremely complimentary about him and thinks a Charles Parker/John Rich or Charles Parker/Big & Rich project might be wonderful. 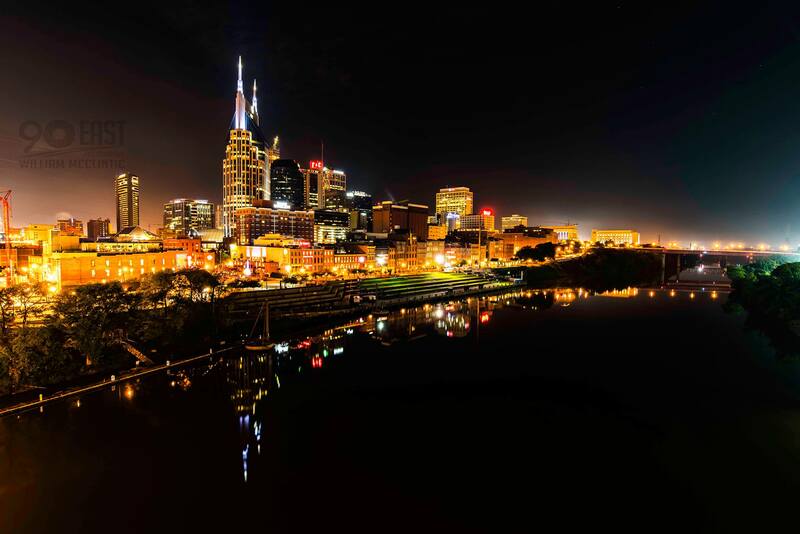 Speaking of bars on Broadway, we often ask people we talk to about celebrity bars in Nashville. I did pose the question to Parker, if he were to open an artist bar here in Nashville, what would he name it and what would the theme be? He had a little trouble with it though. The best he could come up with was one that reflected something he’s actually quite successful with, and that’s cover bands. He suggested, possibly, an 80’s-themed bar. 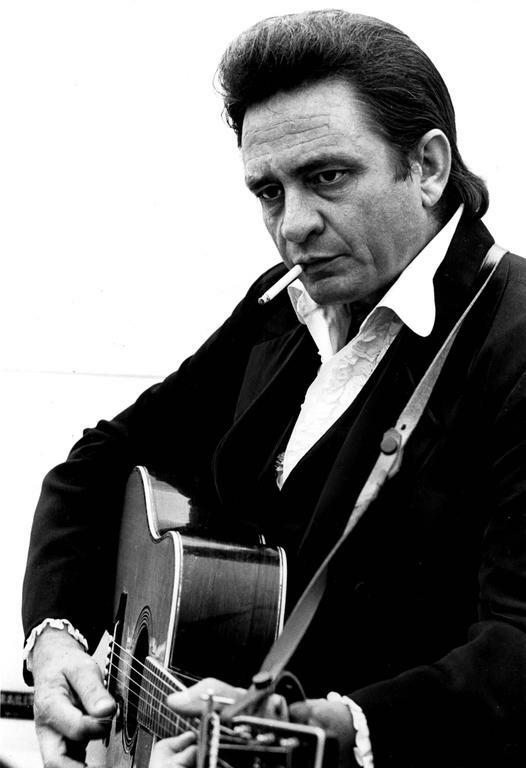 He wasn’t sure he liked that idea, because it wasn’t “country”, and he felt something in Nashville should be country, but I thought it wasn’t bad. After all, you can walk up and down Broadway and hear every country song in the world, including “Wagon Wheel” (which was Parker’s contribution to our conversation about the repetitive nature of certain country songs you hear downtown), and eventually, you might need a break. An 80’s-themed bar might be exactly what you need by the time you’ve heard “Wagon Wheel” 15 times. As far as I can remember, I never heard that song in a club in the 80’s. I think you’d be in a very New Wave/Hair Band safe zone. No wagon wheels of any kind in there. Parker also mentioned that he actually owned a couple of clubs before, so this wasn’t all that far-fetched from something that could happen. If an 80’s-themed bar pops up in Music City, the owner just might be Charles Parker.